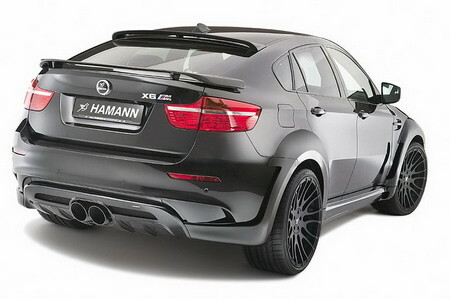 Hamann’s new Tycoon Evo kit is a really hot one for the BMW X6M, and it’s totally bonkers in every way! The engineers took the car’s 4.4 liter twin-turbo V8 and throw almost all of it away replacing the parts with high performance ones. The result is a colossal 670 hp and a massive 780 nm of torque. At this point you are probably wondering how well this huge car would be able to put the power to the ground?! Well, thanks to the upgraded chassis and new suspension which is lower by 60mm and some big 23-inch wheels wrapped in ultra-fat tires, we have to say pretty good actually. The numbers speak for themselves: 0 to 100 km/h in 4.2 seconds and top speed of over 300 km/h. 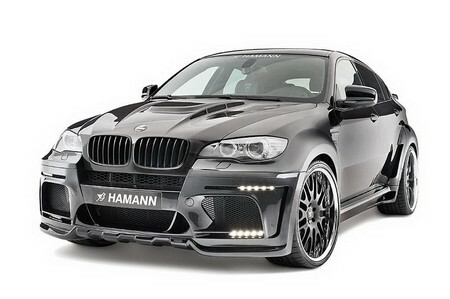 And as usual Hamann takes care of the looks as well. They have given it everything: front spoiler, new LED lights, new bonnet with slashes in it, side skirt, flared wheel arches, roof spoiler, boot spoiler, … you name it! They also offer a bespoke program for customizing the interior, but as you know it includes lots of leather and carbon fiber!